Thank You For Supporting Grassroots Radio! We Raised $173,611 And Counting! 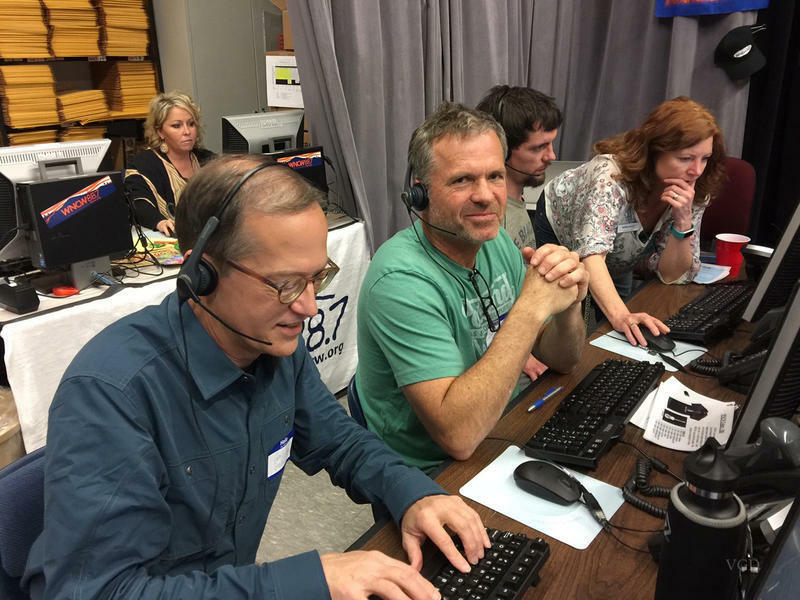 Charlie, Jeff, James, and Brenda answering phones during WNCW's Spring Fund Drive 2018. We want to say a HUGE thank you to our listening community! Thank you to our members, volunteers, food donors, musicians, business supporters, and local partners for your support. It takes a community to keep the station strong. Thank you! With your support we have raised $173,611 You can still help us reach our goal of $200,000 when you choose to contribute online here. French Broad Riverfest: Arthur W.
Asheville Fly Fishing/Magnolia Mountain Inn package: Josh M.